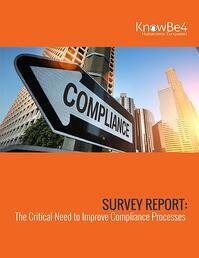 Compliance is time-consuming and fraught with risk. However, most organizations have not implemented the processes and tools necessary to manage the compliance process efficiently. This new Osterman research report delivers insight you need to streamline and centralize audit and compliance processes across your entire organization. The research discussed in this survey report found that most organizations like yours must comply with a large and growing number of compliance obligations. However, compliance is time-consuming and takes your already limited staff time away from other tasks. It’s fraught with risk because of the potentially severe consequences associated with a failure to adequately satisfy these obligations. In many situations, the current processes in place within your organization may not be adequate to meeting current compliance obligations, nor are they scalable to meet your future needs.